Working onsite in a portable office doesn’t mean working out of your truck anymore. For us, it means providing you with a comfortable, secure place to protect your expensive equipment and valuable information. ProBox gives you the peace of mind you need, so you can concentrate on the job at hand. Ground level offices eliminate the need for expensive stairs, ramps, pads, and tie downs. In addition, our ground level offices make access to your office storage space easy and convenient. Please note: Offices are not available in Colorado. 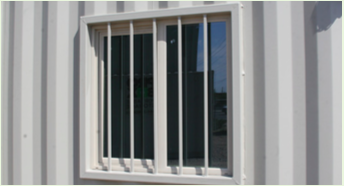 A safe, secure temporary office solution that provides a permanent and peaceful state of mind.